The Mercury Brassie as an excellent attractor in a multi-fly nymphing rig. The Mercury Brassie is a variation of the original Brassie created on the South Platte River in the 1960’s. This simplistic fly incorporates three materials. Ultra Wire for the body, peacock for the thorax, and a silver-lined glass bead. The silver-lined glass bead imitates the gas bubble effect prior to emergence. The weight of the Ultra Wire helps get the fly down quickly, which is ideal for dry and dropper rigs. 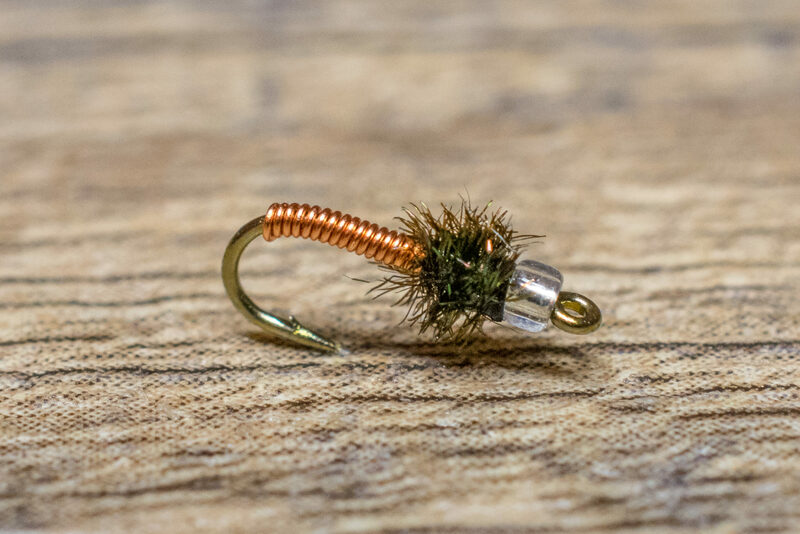 The Mercury Brassie can also be used as an attractor in a tandem nymphing rig. It is tied in several colors, including, copper, red, chartreuse, green and black to imitate a wide spectrum midge larva and pupa. 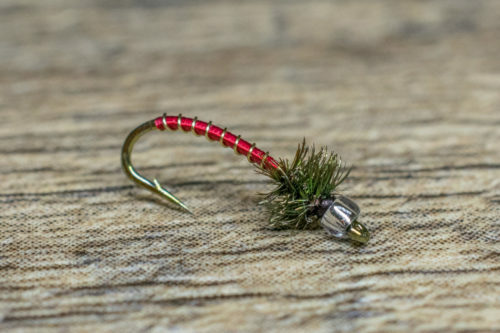 The Mercury Brassie is a variation of the original Brassie created on the South Platte River in the 1960’s. This simplistic fly incorporates three materials. Ultra Wire for the body, peacock for the thorax, and a silver-lined glass bead. The silver-lined glass bead imitates the gas bubble effect prior to emergence. he weight of the Ultra Wire helps get the fly down quickly, which is ideal for dry and dropper rigs. Our favorite colors to fish the Mercury Brassie are copper, red, chartreuse, green and black. This allows you to imitate a wide spectrum midge larva and pupa. 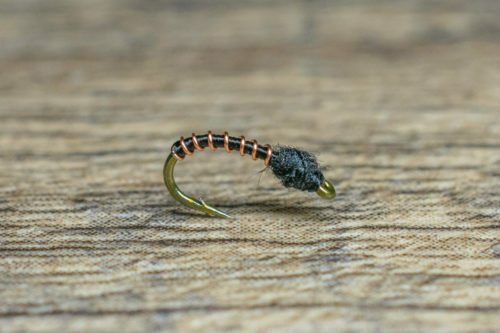 The Mercury Brassie as an excellent attractor in a multi-fly nymphing rig. Trailing another small midge larva (pupa) or mayfly nymph behind it is always a good call. 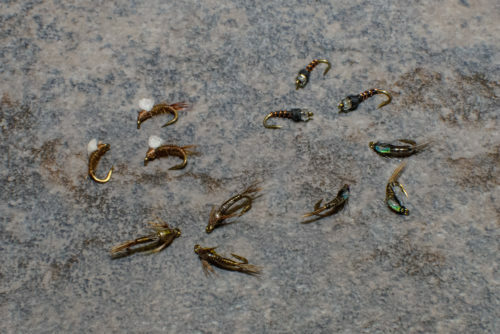 Effective droppers include #18-22 Mercury Flashback Pheasant Tails, Sparkle Wing RS 2’s, Barr Emergers, Juju Baetis, Manhattan Midge and Top Secret Midges. 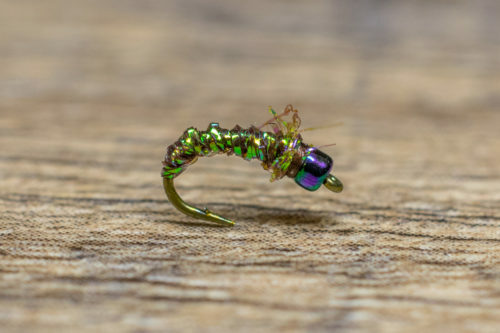 At the height of a midge hatch when the trout are keying on both adults and pupa, this fly is perfect for a dry and dropper rig. A blue Mercury Brassie is very effective in low light conditions.